I somehow missed writing this one up last month, so here it is now. I am not sure about the accuracy of the term “Gentleman Thief Taker” since the thief-takers were replaced by Bow Street in the mid 1700s, and Bow Street was absorbed into the Metropolitan Police by 1839. Would someone really have dredged up a term over 200 years old to describe the hero? Regardless, that is pretty much the only qualm I have about the story, and it’s a minor quibble, since this is fiction. Owen, Lord Renderwell received his title for rescuing a kidnapped Duchess, except that he had been working with the notorious thief, Walker, and it was Walker who had done the actual rescuing. Walker is a man of morals, who works for the crown and does what he believes to be right according to his ethics. Owen recognized his incongruent feelings as the same he’d experienced at age nine, when his sister Eliza had convinced him it would be great fun to hurl a stone at a wasp’s nest. It was the delicious thrill that came from succumbing to the allure of a very bad idea. Charlotte (Walker) Bales has been keeping her family together since her father’s death forced them to change their name and relocate to the countryside. Charlotte and her sister Esther have done everything they could to protect their brother Peter, who had been only four when their father died, from his legacy. So the appearance of Owen and his men threaten to spill all their secrets. I also really liked Charlotte, who had very complicated feelings about both Owen and her father. Though she deeply resented the work her father had done, she didn’t resent her memories of him. But what I liked best about the story was the theme of redemption. He had given no thought to the possibility of redemption for her father, no credit to the notion a person might change for the better. Will Walker had been a black-hearted scoundrel and, really, what else was there to say? Charlotte desperately wants to the redemption of her father, but fears that she does not deserve the same, for the work she did for her father. And that father was complex and fascinating–I liked the slow unveiling of his actions and character and how he may have loved his children, but that didn’t stop him from using Charlotte. “My father. He felt it was important I know how to get out of them. The unfolding story and history were also fascinating, as the characters discovered the various things they had kept hidden from each other. It was a pleasant read, and I look forward to the next book. This is the second book in the Thief-Takers series, and follows the second sister, Esther, and the private investigator, Samuel Brass. Esther has sneaked into London, and is caught at underground by the Samuel Brass, who ruins the meeting she was getting ready to have. Samuel Brass sees it as his personal mission to keep Esther safe, because, he tells himself, she is the sister of the wife of one of his best friends. “A great many. But their combined innocence does not render the cutthroats less vicious. One of the things I particularly like about this story is how sensible Esther is, and how it always takes Samuel (and the reader, to be honest) aback when she is reasonable and sensible. “Do you think you need them?” She shook her head. “Do you?” It wasn’t so much that she needed them as that he wanted them for his own peace of mind. But that’s not the only reason I like Esther. I like her because she has struggled in the past, but is slowly becoming, as she puts it, more. She ignored the voice, long since accustomed to the fear that she wasn’t really wanted, wasn’t quite good enough for anyone. That fear had been at the heart of her determination to work with her father and her terrible need to seek out the approval of others. She’d been so desperate to prove the nasty little voice wrong. But, it’s also a fun little romp. Samuel and Esther stepped closer to investigate the admittedly rather large, but definitely very dead, rodent. Samuel glanced over his shoulder. “You screamed because of a dead rat?” The girl was a Londoner. This couldn’t possibly be the first one she’d come across. These are just fun stories, even if they do have boinking. That was completely unexpected. In a very good way. Gabriel Arkwright is the third Gentleman Thief-taker, and like Samuel, he has a past he doesn’t talk about. He’s also glib and very good at becoming who he needs to be for each case. Jane Ballenger lives in an isolated country house hiding both her disability and her past. She wasn’t a clumsy woman. Her faults were legion. She was easily distracted. She was rude. She lacked a proper sense of humor. She was hard of hearing. According to some, she was a proper idiot. But, as a rule, she could put one foot in front of the other without making a spectacle of herself. For as long as Jane had been aware there was something wrong with her, secrecy had been her one and only consideration. The need to be honest had never presented itself. And that is what made this story. Yes, the mystery was interesting, but Jane’s hearing problems were fascinating, as were the way she was treated because of those problem. Let me be clear, she isn’t deaf, not really. Here is part of the author’s note at the start of the book (so I’m not giving anything away). When I set out to write the character of Jane Ballenger, a woman with central auditory processing disorder, I knew I was going to run into some interesting obstacles. Although it has gained some attention in recent years, CAPD is still not a particularly well-known disorder. It’s also not something I could give a name to in a book set in Victorian times, when the condition was not recognized. Jane’s reasons for hiding this problem from Gabriel are well-founded, but they also place the both of them in significant danger multiple times. But there is far more to Jane than that, of course. First and foremost is her love for the couple that has taken care of her since she was ten. There is also the fact that her fears are completely justified, given both her past and society at the time. So although she knows her problems are placing her in greater danger, just glibly giving up her secrets is not an option. Which is what makes me like the story so well. Gabriel, of course, has his secrets, which are interesting, but not nearly as interesting as Jane. Which is both a strength and a weakness in the story, since Gabriel’s issues feel almost tacked into the story to provide some parity. But I didn’t really care because I found Jane so interesting. I highly recommend this book, and you do not need to have read the first two books to enjoy this one. Miss Sophie Everton has spent years overseas following the death of her mother and sister, but has decided to return to London to experience the Season. Unfortunately, the cousin her father left in charge of their properties and monies has not done a good job of such. So she takes on an offer to look into whether her cousin;s friends are involved in treason. 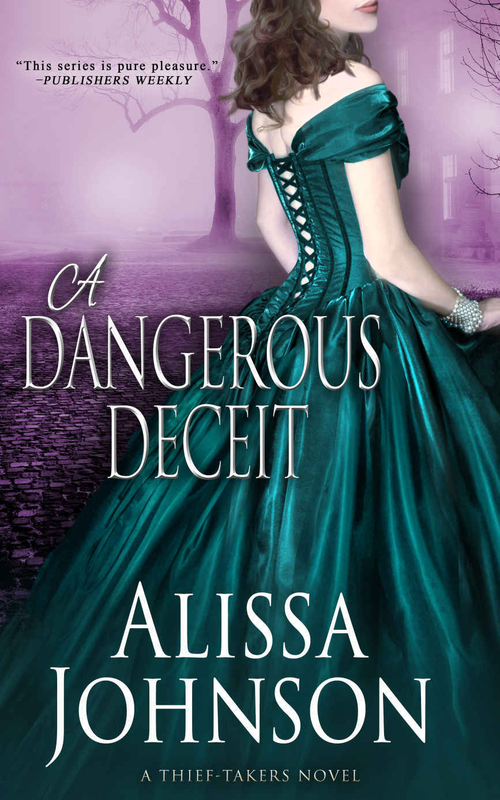 Alex, Duke of Rockeforte, has been working for the War Department, so when William Fletcher asks him to look into the circumstances around a newly arrived young woman (and if her cousin has been involved in treason). “Yes, becoming a barrister was my second choice after ambassador. Sadly, both professions remain elusive to me. Alex is fine, but I really like Sophie. I also enjoy the secondary characters in the story, each of whom has their own distinct personality. There is also a delightful scene towards the end of the book, where a criminal gets his comeuppance from the ruffians he has hired. That whole scene is delightful. To be clear, the premise and machinations behind everything the two are thrust into is completely and utterly ridiculous. But it’s so fun and amusing I don’t care in the least. Whittaker Cole, Earl of Thurston, and Miss Mirabelle Browning have fought and argued with each other since they were young. Whit’s mother, however, has had enough and orders him to bury the hatchet and behave themselves, for it’s possible his attitude towards Mirabelle has kept her from finding a match. As Whit has tried his best to be honorable and respectable, the thought that he might have damaged Mirabelle is enough to make him regret their years of fighting. The “secret” from the first book is known the the reader now, but the young people don’t know what’s happening, and that’s fine. William Fletcher appeared from the library looking harassed, followed by Lady Thurston who looked to be doing the harassing. Mira is a very interesting character, and someone who is doing the best she can with what she has. Seeing how things are for her at her Uncle’s house is both horrifying and mortifying, but also what could easily happen to a woman who had no control over her life. It was another fun and enjoyable story. Evie Cole has lived with her cousins since she was a young girl. After her father’s death in a carriage accident, her mother was unwilling to care for her, so the injured child moved to Haldon Hall and remained there with her cousins. McAlistair worked for the war department as an assassin, but after quitting has spent years hiding out in the woods of Haldon Hall. Whit is fine with this, since it allows the man to recuperate and also provides extra protection for his family. First, Evie. She has a scar and a limp from her childhood injury. Although she is self-conscious of this, her adopted family has never allowed her to see herself as permanently damaged the way most young women would have been. The fact that she has permanent injuries but doesn’t believe herself to be less is marvelous. Would it have been likely for the time? Probably not, but I’m ok with that. It wasn’t until Lady Thurston had brought her to live at Haldon (an offer Mrs. Cole had accepted with great relief) that the worst of her shyness had begun to ease. She’d been so quickly accepted, so openly loved by her aunt and cousins that, over time, she regained some of the confidence she had lost. 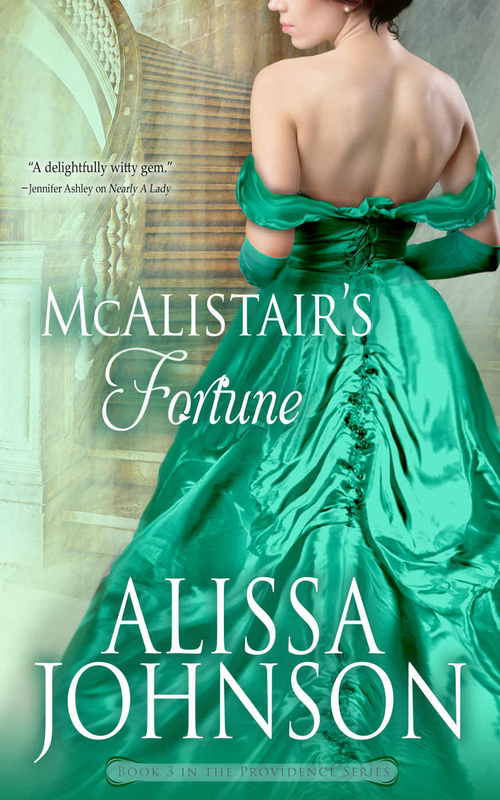 McAlister is far more damaged, from both his childhood and his time spent as an assassin. He feels himself ruined and undeserving of happiness. “Act in haste, repent in leisure,” his dear, departed, and no doubt often repentant mother had been fond of saying. An interesting bit of advice from a woman who’d birthed six bastards. I also appreciated that after paying a price for her stubbornness (riding a horse all day without break leads her to be unable to use her leg when she gets down) although she hates her weakness, she doesn’t make the same mistake twice. She also, although willing to defend herself, doesn’t act stupidly. I am definitely enjoying this series. Lady Kate Cole was, by most accounts, a young woman of exceptional beauty, extraordinary talent, and notable charm. She was also, by all accounts, a woman so remarkably prone to accidents that it was generally considered wise to back away if she happened to be standing next to a steep hill, a large body of water, an open window, or any sort of material that might cut, discolor, burn, spill, break . . . It was probably best if one simply kept a bit of distance from the girl whenever possible. Kate also is a composer–although no one will publish her works under her own name, since obviously a woman can’t be taken seriously as a musician. Andrew Hunter has risen to great wealth from absolutely nothing, and it is only his wealth that gains him entry into society. He has known the Cole family for years, and has decided that Kate would be the perfect wife for him. Hunter sees a chance to put his plan into play when they are sent to a house party–Hunter as part of a team looking into a counterfeiting operation. Lord Brentworth’s house parties were not fashionable events. Unbeknownst to the host, they were not merely dull, but famously dull. Most notably for the ladies in attendance. A widower of many years, Lord Brentworth apparently had no notion of how to go about entertaining a houseful of women, and clearly had, at some point, decided that the best solution was to leave them to their own devices while the gentlemen did . . . something else. I like Kate. She is accomplished and unwilling to hide her skills and strengths. She also is well-aware of her weaknesses, and makes sound decisions based upon that awareness. As a klutz myself, I deeply appreciate that. This is a boinking series, but I did enjoy it despite the boinking, because I very much liked the character, and the the women in the series were smart and strong. 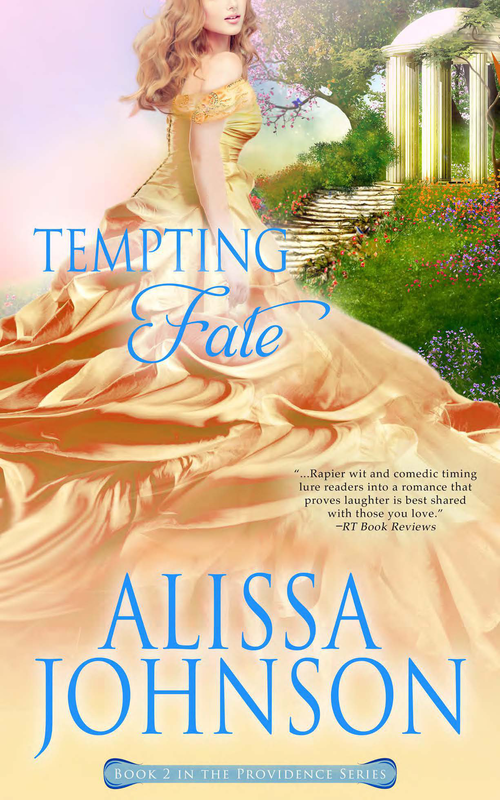 Set in England during the regency. Freddie Blythe and Lilly Ilestone have been barely surviving in Scotland after the death of Freddie’s father and the promise by Lord Haverston to care for his Freddie. Gideon and Lucien Haverston are trying to set their inherited estates to rights after discovering that their step-mother absconded with a large sum of money after their father’s death (as well as during his life). When they discover their father had a ward, who was left to languish in Scotlan, Lucien sends Gideon up to repair the damage–and, Lucien hopes, repair some of the damage done to him by the war. Gideon had made one promise and one promise only. Never again would he be responsible for the well-being of another person. In the two years since he’d left the Perseverance, he’d managed well enough. He’d sworn off marriage, bucked tradition and eschewed the services of a valet. He’d even refused to have live-in staff at his town house, preferring to eat at his club and relying on a maid to come during the day. First, Freddie is marvelous. She’s been surviving for years, and although she appreciates the Haverston’s willingness to try to repair the damage dine to her, she doesn’t have much need for London. “Find a husband, I imagine,” was Gideon’s reply. I also loved the relationship between Freddie and Lilly, two young women who were left in poor circumstance, and came not just to reply upon one another, but to love each other like sisters. It wouldn’t be so dreadful, she thought, to wear something that felt like this. “Is it for London?” she asked. But most of all I adore the humor and sense of fun that both characters have, despite all their issues. Lilly was the only person in residence proficient at the piano, and so Bess had been recruited as a dance partner for Winnefred. Unfortunately, Bess’s familiarity with popular dances was only slightly more extensive than Winnefred’s, and because the poor girl had no experience at all when it came to dancing in the role of a gentleman, she and Winnefred had spent the last hour bumping into, tripping over, and stepping on each other and the furniture. Winnefred couldn’t remember ever having so much fun. But what I liked best is that the struggle to their HEA was due to their personal difficulties but NOT to foolish misunderstandings. They talk to each other. Unfortunately, that doesn’t always make things clear, but they tend not to harbour foolish ideas of what should be versus what is. “Why do you, if it bothers you?” “Because . . .” She shifted her feet and bit her lip. I really liked both characters, that they were good people despite their flaws and issues, and did obviously care for one another. It really was quite a lovely story, even if it was a boinking book. Set in Scotland in the 1800s. Connor Brice wants nothing more from the world than revenge against his half brother, Robert Maxwell. Breaking up Robert’s probable engagement to Adelaide would give him the best of both worlds. Sir Robert had held his ground in the garden longer than expected as well. Apparently, the baronet had grown some sort of backbone over the years. Connor estimated his half brother to now be in possession of two, possibly three, full vertebrae. Adelaide Ward sees an end to her struggle of keeping her family together: marriage to Sir Robert. The marriage will allow her to give her sister a season and her young nephew the clothes and toys a toddler should have. But she becomes a piece in the battle between Robert and Connor. This was a very interesting story. Adelaide was immediately likable, struggling as she was to keep her family together and willing to sacrifice herself for their safety. Oh, what she wouldn’t give to go back fifteen years and tell her parents, no, she did not wish to learn how to paint and play the pianoforte. She would learn carpentry, estate management, and how to navigate a stock exchange. How different her life would be now. Connor is another matter entirely. He hates his half-brother, but also seems to have a true interest in Adelaide’s well-being. I also very much liked Isobel, Adelaide’s sister. I was sorry not to get more of her in this story. One thing that I particularly liked about the story was Connor’s reaction of George, Adelaide’s nephew. He broke off when George shoved the step stool into Connor’s leg and, biscuit caught between his teeth, scrambled his way onto Connor’s lap. George turned about, nestled his back against Connor’s chest, and went about the messy business of eating his treat. A choking sound came from Isobel. Adelaide forced a bland expression. “Right . . . Right, of course.” He neither sounded nor appeared particularly convinced. I love that Connor is allowed to have the kind of reaction that a single gentleman with no exposure to young children would have. He obviously likes George, but he just as obviously has no idea how to deal with him. And I also enjoyed that George got to act like a young child should. The only whirlwind was George, who strenuously objected to having to bathe and wear Sunday clothes on a Friday and made his displeasure known by leaping out of the tub and streaking about the house while screeching at the top of his lungs like a soapy, irate piglet. And as single-minded as Connor is in his quest for revenge, he also quite obviously wants Adelaide to be happy. But the end was what I particularly liked. Their problems were not magically solved with the wedding, and there wasn’t immediate understanding between the two. It was a lot of hard work. Fuming— and comfortable with that sensation on every level— he stormed across the great hall and up the steps. He took them two at a time and came to an abrupt halt halfway up the staircase. This . . . was not a wise course of action. It was a fun story, but most importantly the romance felt more real that many, since it WAS a lot of hard work. I also liked the order of events in the ending. 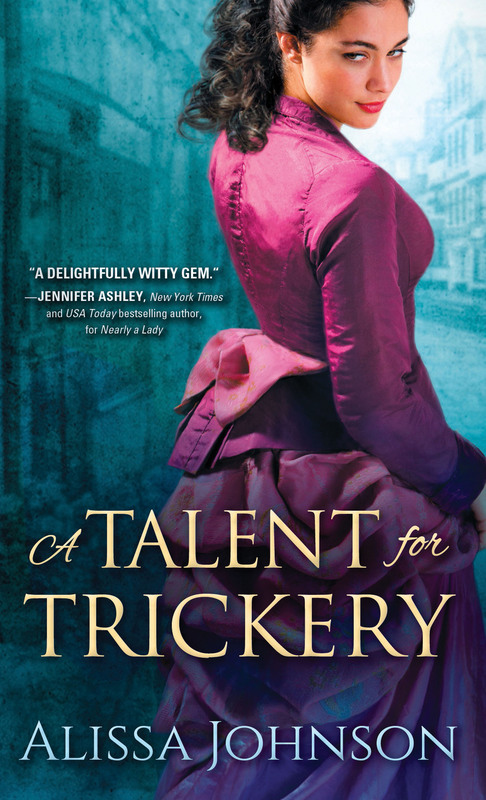 Anna Rees is the illegitimate daughter of an infamous woman of the demi-monde. Everyone knows of her, but no one has spent more than a few minutes in her company. And Anna mostly likes that, since she does NOT like being paraded around by her mother. was a little known fact that Miss Anna Rees was unaware of her true age. According to Mrs. Wrayburn, her only daughter would turn nineteen come April. However, Anna clearly recalled repeating the ages of seven and nine, and her fifteenth year had been celebrated three times— twice in the summer and once in the fall. At best guess, she was near to four-and-twenty and her birthday fell somewhere between July and November. Maximilian Dane enjoys the demi-monde and thumbing his nose at the ton and those who see him as a wastrel. As a second son he never expected to become viscount, but accidents happen, and so Max inherits a title he never sought. 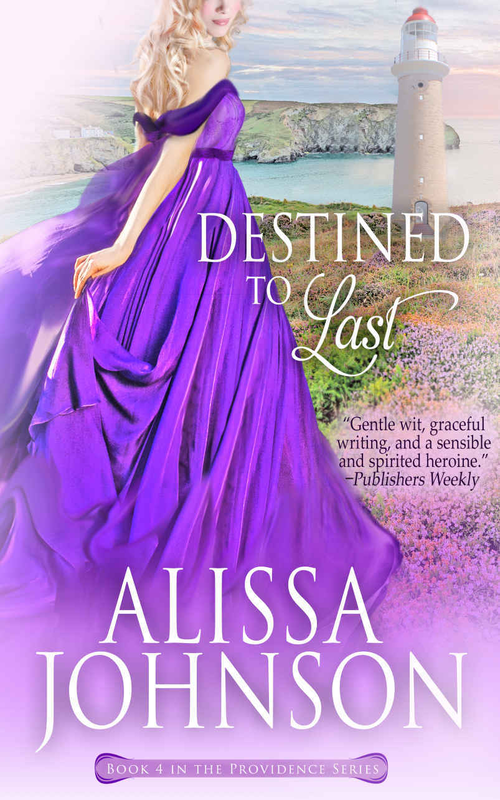 Especially since Anna has discovered that her father was the old Lord Haverston who didn’t fulfill his contract to Anna’s mother upon Anna’s birth, and so she seeks to get her thousand pounds form the new Lord. Who happens to be good friends with Max Dane. A chance and secret meeting of the two leaves both hurt and angry, so when they meet again four years later, things do not go well. Anna considered whether or not she wished to accept the apology in full. She truly was more inclined to forgive him now that she understood the source of his animosity, but she hadn’t fully made up her mind on the matter. Rejection was not an acceptable reason for treating a person poorly. I really like this series, and not just the dialog (although that is delightful) and not just the story, but the little things, such as this passage between Max and Lucien. “Your town house is no place for a foxhound,” Lucien scoffed. And this bit where Anna is getting to know her new family. That was when Anna realized that he was giving her the time and space so that she might come to know her family. She thought it a remarkably thoughtful gesture. That didn’t lessen her discontent at seeing less of him, but it did soften the blow. It also helped that he wasn’t wrong in his assumption of the time she needed with the Haverstons. But really, everything was delightful, from the way the story didn’t go as expected, to the characters (including ones we’d met in a previous books), to the dialog and the ending. 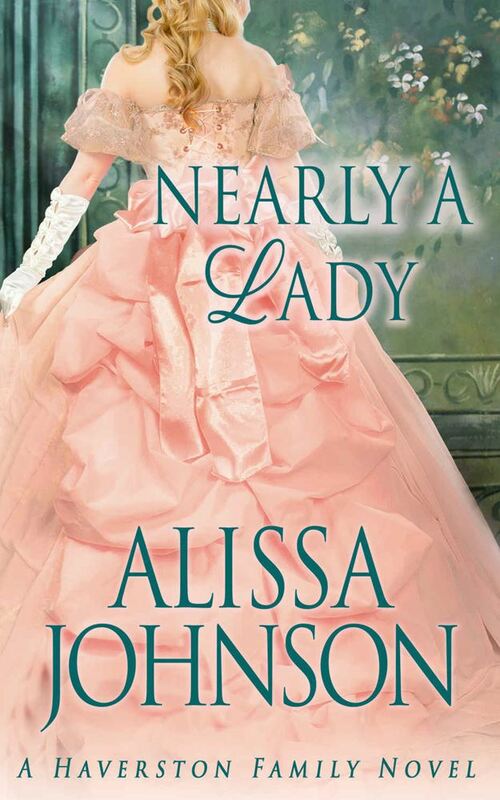 I very much enjoy Alissa Johnson’s writing and stories–even if they are boinking books.